The Supreme Court on Monday refused to overturn a ban on outsiders entering the Taj Mahal complex in Agra for namaz or Friday prayers, asserting that the monument is among the seven wonders of the world and hence, needs to be protected. According to a PTI report, the Bench comprising Justice A.K. Sikri and Justice Ashok Bhushan opined that there are several other mosques in Agra where those from outside the town could offer prayers. 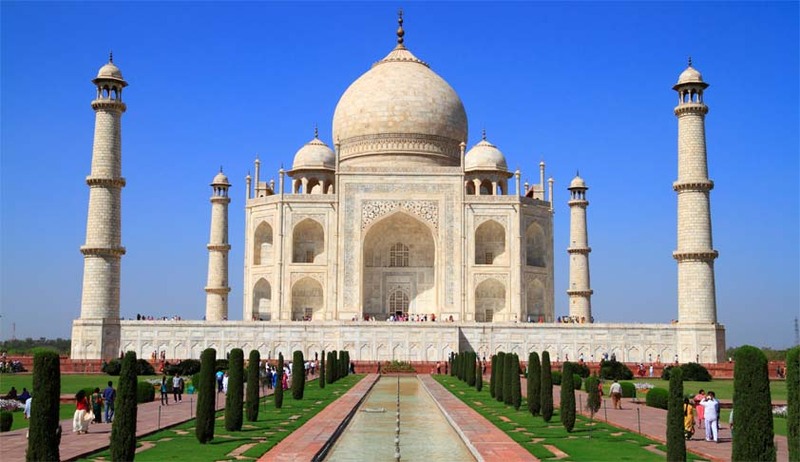 "This (Taj Mahal) is one of the Seven Wonders of the World and we do not want this to decimate. We are dismissing it (plea)… There are other mosques also. They can offer their prayers there,” the bench was quoted as saying. The District Administration had, on 24 January this year, ordered that only locals with valid identity proof will be allowed to enter the Taj Mahal complex to offer namaz on Fridays. To this end, those entering the Taj premises for offering prayers on Fridays were directed to carry their identity cards in order to prove that they are residents of the city. The order was reportedly issued following complaints that outsiders, including Bangladeshis and non-Indians, were entering the Taj complex on Fridays on the pretext of offering namaz. The Court was now hearing a petition filed by Syed Ibrahim Hussain Zaidi, President of Taj Mahal Masjid Management Committee, Agra, challenging this order as being illegal and arbitrary. He had inter alia alleged violation of Article 14 of the Constitution of India, asserting that the impugned order arbitrarily differentiated between city residents and non-residents.